Whether you purchased one yourself or it was gifted to you, the holiday season may have provided you with a new refrigerator. If you don’t keep enough food around the house to justify running two fridges at the same time, you might be tempted to recycle your old appliance. However, if it still runs without a problem, there is no sense in throwing something out just because you get a new one. That extra refrigerator could come in handy one day if your family grows, you need some extra money, or your new refrigerator decides to break down. Your best bet is to store your old refrigerator now in case you need it in the future. 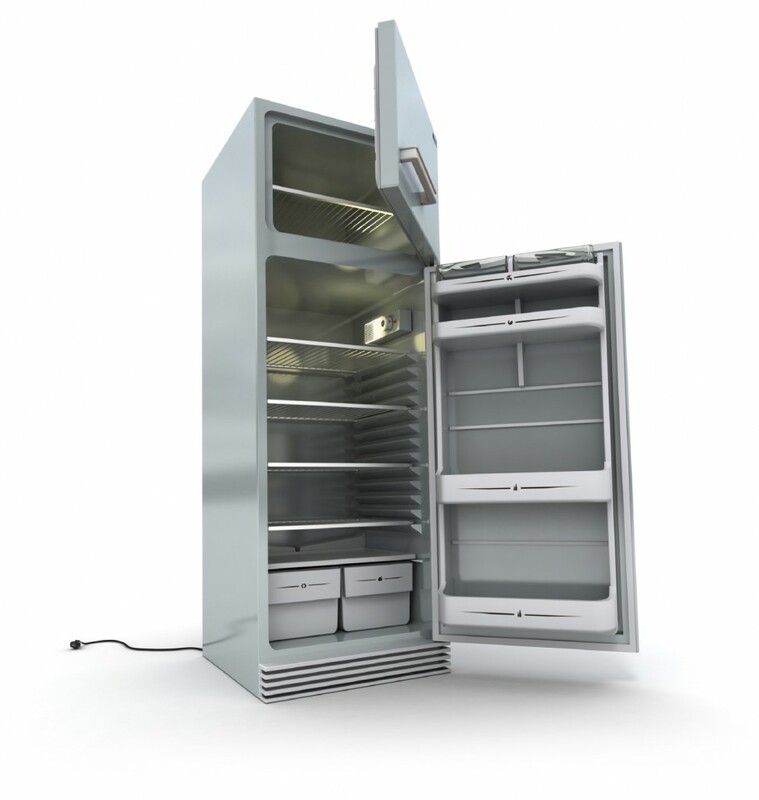 Because refrigerators are built to retain moisture, storing them for long periods of time leaves them susceptible to developing mold and unpleasant odors. If you are planning on keeping yours in long-term storage, here is how to prevent these problems so you can store your food in it once again. The key to preserving your refrigerator for future use is a good cleaning before sending it to storage. If your fridge has a built-in ice maker or water dispenser, the first step is shutting off the water supply. There is usually a valve in the supply line that can be cut off by turning a small knob. After this is done, allow 24 hours for the ice maker to use up the last of remaining water. Remove all the ice cubes, turn the ice maker into the “off” position, drain the water reservoir, and remove the filter cartridge. Next, unplug your appliance and discard all food items. Wait several hours for the interior to defrost (if necessary) and completely dry it. Now, wipe down the interior with a mixture of warm water and a mild dish detergent. Be sure to thoroughly clean the shelves, drawers, back wall, and other hard-to-reach areas. Dry the appliance again using a clean towel and leave the doors open for several hours, allowing excess moisture to completely evaporate. When you are ready to store your refrigerator, make sure to transport and store it in an upright position. Tilting it on its side could cause the oil or liquid refrigerant to leak out and damage the compressor. Your refrigerator should be stored in a secure, dry location to prevent pests, mold, and odors from damaging your appliance. If you notice anything wrong with your refrigerator, contact the experts at Speedy Refrigerator Service. For 75 years, Long Island residents have depended on us to fix their refrigerators, freezers, ice makers, and wine coolers. We guarantee one-hour service to Nassau and Suffolk Counties, give us a call any time at 866-782-9376.